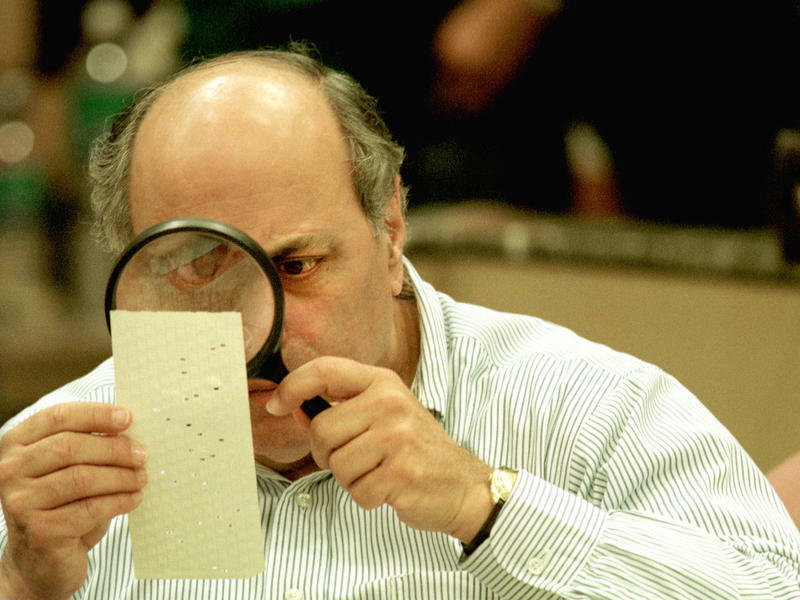 Attorney for Broward's elections department and Gov. Rick Scott's senate campaign agreed with a judge's order to put three extra law enforcment officers at the elections office. A Broward County judge on Monday ordered three additional law enforcement officers to oversee the county’s ballot tabulation process and called for an end to explosive rhetoric about election fraud. Circuit Court judge Jack Tuter considered a motion filed by Gov. Rick Scott’s senate campaign for the Florida Department of Law Enforcement to impound vote-counting machines and ballots when votes are not being counted at Broward’s election office. 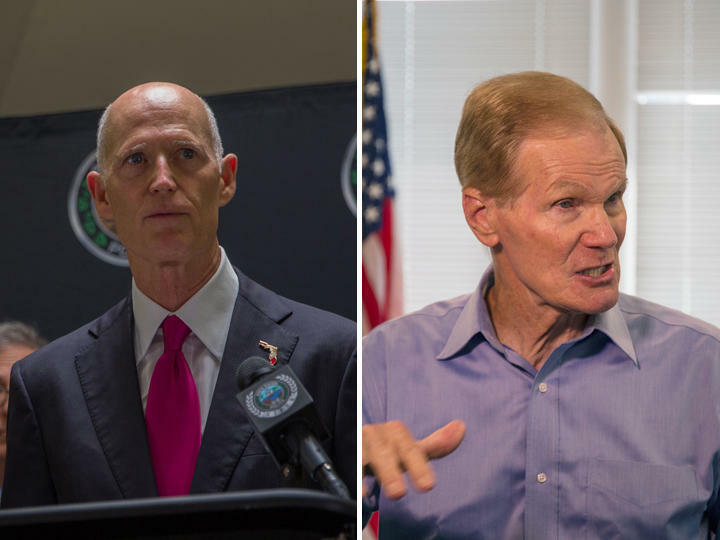 Scott’s campaign said law enforcement control over the equipment and ballots would protect election integrity as counties rush to meet a Thursday deadline to recount votes for three statewide races. Broward’s election office, Scott’s team argued, has shown incompetence throughout the counting process. But Tuter questioned the need to impound the machines and rejected Scott's request. He said putting three extra officers at the elections office was enough to guarantee security. The lawsuit was the latest in a bitter partisan battle that has left key statewide races contested and raised questions about Florida’s vote counting process. As the Senate, governor and agriculture commissioner races have tightened, Scott and other Republicans have accused Broward elections supervisor Brenda Snipes of election fraud and claimed that “unethical liberals” are trying to steal the election. Scott—who’s running for U.S. Senate—has presented no proof of fraud and FDLE is not investigating any illegal activity at Snipes’ office. Instead, Republicans cite a history of mishaps at the elections office. And a separate court order on Friday against Snipes, a Democrat, has fueled calls for the governor to take over her office. Democrats, for their part, have accused Republicans of voter suppression and condemned Scott’s latest legal tactics. In court on Monday, Scott’s legal team said turning over custody of the voting machines and ballots will help secure election results. Scott’s attorney Jason Zimmerman also referred to a 2016 congressional race when Snipes violated state and federal laws by destroying ballots. The lawyer for Snipes' office, Eugene Pettis, disagreed, saying law enforcement officers already oversee Broward’s vote counting process. Impounding the machines and ballots would suggest that Snipes is acting nefariously and would undermine confidence in the electoral process, Pettis added. In his ruling, Tuter said he did not have enough evidence to support a seizure of ballots and voting machines that are not in use. He suggested the addition of Broward County Sheriff officers at the elections office as a compromise. Both legal teams agreed after meeting with each other during a lunch break. In addition to his order, Tuter urged a "ramp down" of rhetoric about election fraud. “We need to be careful what we say. These words mean things these days,” he said. His call came after Republican Attorney General Pam Bondi added to unfounded suspicions about voter fraud on Sunday. In a letter to Florida Department of Law Enforcement Commissioner Rick Swearingen, Bondi—a Scott ally—urged him to investigate Snipes and Bucher. She said she was “deeply troubled” that his agency had not already done so. Bondi also sent a separate letter to Secretary of State Ken Detzner, encouraging him to report any instance of fraud or irregularities to the Office of State Prosecution, which is under her jurisdiction. Swearingen’s office has said FDLE hasn’t launched investigations because state monitors at the elections offices have found no evidence of criminal activity. Detzner’s office repeated that on Sunday night. Still, the Broward elections office does appear to have made mistakes. Snipes’ office included 22 invalid provisional ballots in its final vote tally sent to the state on Saturday. In a separate lawsuit brought by Scott, a circuit judge said on Friday Snipes violated public records laws and ordered her to release vote count totals to Scott’s Senate campaign. Legal issues involving Snipes also extend to other elections. During the August primary, thousands of vote-by-mail ballots were found to be uncounted a day after the election. In May, a judge also said Snipes violated state and federal laws when she destroyed ballots cast during a 2016 congressional race between Rep. Debbie Wasserman Schultz and Tim Canova. Zimmerman repeatedly brought up Snipes' history during the trial, saying "we have a trust issue in this county." But the judge said it still was not enough to justify Scott's impouding request. "I think both sides are wanting here to make sure that everybody has a degree of comfort that no ballots are leaving the office, that they're all protected and the integrity of process is assured," he said.